Did you hear about the man who traveled to every sovereign state in the world without flying? That is 201 countries! His name is Graham Hughes, a Britain who received the last stamp from South Sudan in his passport on November 26th and earning him a spot in the Guinness Book of World Records. Hughes stated that he used public transportation, taxis and ships to get around. Though he encountered some rough times - spending a couple of spats in jail and having his sister pass away during his travels - he succeeded. He spent nearly four years accomplishing this feat, spending less than $100 USD per week. #1 - Open Mind - not everyone is going to act or think like you. Not everyone will understand your humor or relate to your stories. Do not regard others as being "dumb" or "uncultured". If you happened to grow up in a developed country, your experiences will naturally be different that those who have not. If someone offers you something, be polite and take it. Always be welcome to meeting new people and encountering a new aspect of their culture. #2 - Dictionary - you must be able to (somewhat) communicate with the people that you meet. So while I am not saying to take a Pimsleur course if you are going to Azerbaijan or the countryside of Burkina Faso, knowing the basic greetings and most common phrases will always put you in a brighter light with the locals. And will also make your journey from point A to point B a lot less stressful. #3 - Portable Charger - wouldn't you want to take pictures or keep in contact with those that you left behind from time to time? With technology getting bigger and devices becoming smaller, you can now have a camera that can fit in your pocket or a "computer" (ie: tablet) that you can hold in your hand. To make those devices keep up with you, a portable charger is the way to go. 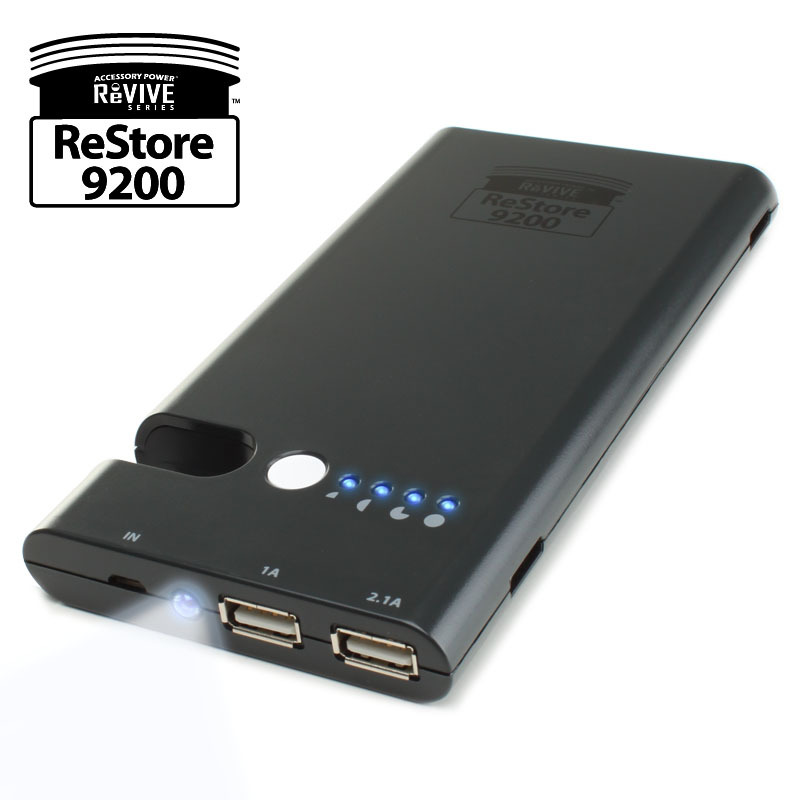 The ReStore 9200 is ideal as you can charge it via USB and then throw it in your backpack while you are on the move. You can easily plug your camera, tablet or smartphone to it and it can charge while you are on the train, bus or even boat! Just be sure to keep your eye open for someone with a laptop or computer who can keep the ReStore 9200 with juice flowing through it. For more help with this, re-read #1. Of course, this list can go on and on. Everyone is different, so people will have a varying list of essentials to take. However, if you are planning on becoming the next Graham Hughes, just be sure to bring your passport! You won't even make it out of your local airport without it!